Adrenal Health Nightly Restore by Gaia Herbs is a natural supplement that seeks to provide gentle, calming adrenal support at night. Gaia Herbs developed its Adapt & Balance products to help you support your adrenal health and promote a healthy response to stress. 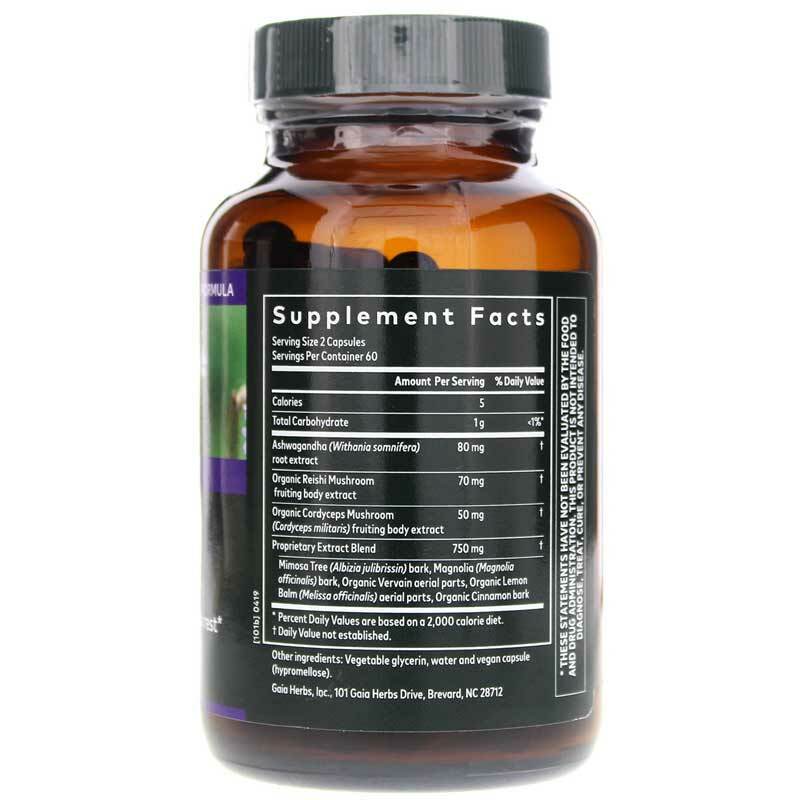 They include Adrenal Health: Daily Support, Jump Start and Nightly Restore. Adrenal Health Nightly Restore is designed to help maintain the body's systems that promote a healthy response to stress while you sleep. 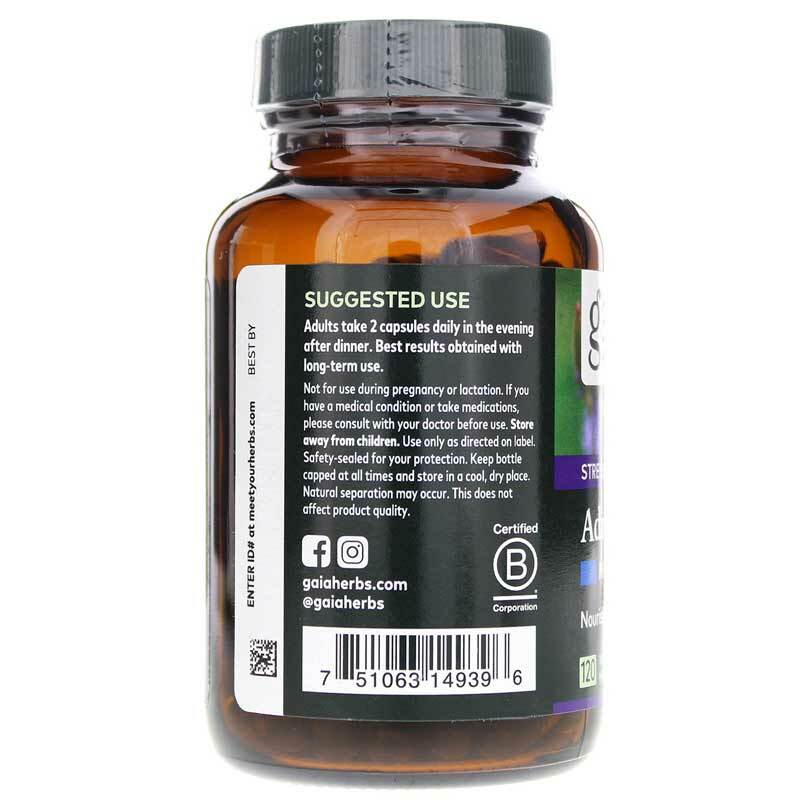 This formula incorporates the following herbs: Ashwagandha root, reishi mushroom, mimosa tree bark, Cordyceps mushroom, Magnolia bark, lemon balm and cinnamon bark. Gaia Herbs' Meet Your Herbs traceability program allows you to enter the unique ID number on your packaging to see how the herbs in a single batch were planted, cultivated and harvested. 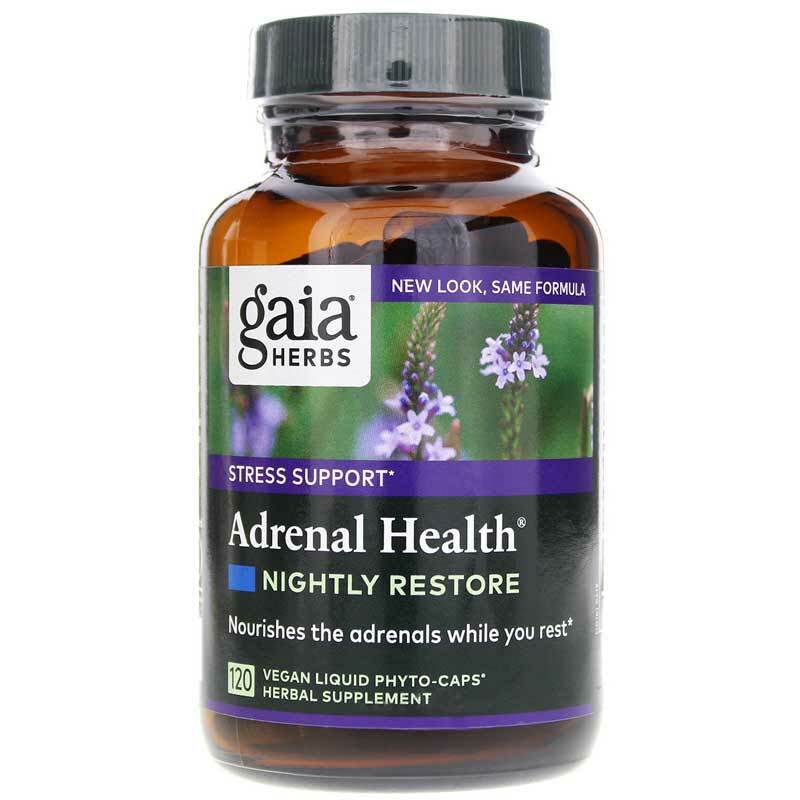 If you're looking for a natural supplement that seeks to nourish your adrenals as you rest, consider Gaia Herbs' Adrenal Health Nightly Restore. Adults: Take 2 capsules daily in the evening after dinner. Best results obtained with long-term use. Not to be used during pregnancy or lactation. If you have a medical condition or take medications, please consult with your doctor before using this product. Keep away from children. Use only as directed on label. Safety-sealed for your protection. Keep bottle capped at all times and store in a cool dry place. Natural separation may occur. This does not affect product quality.